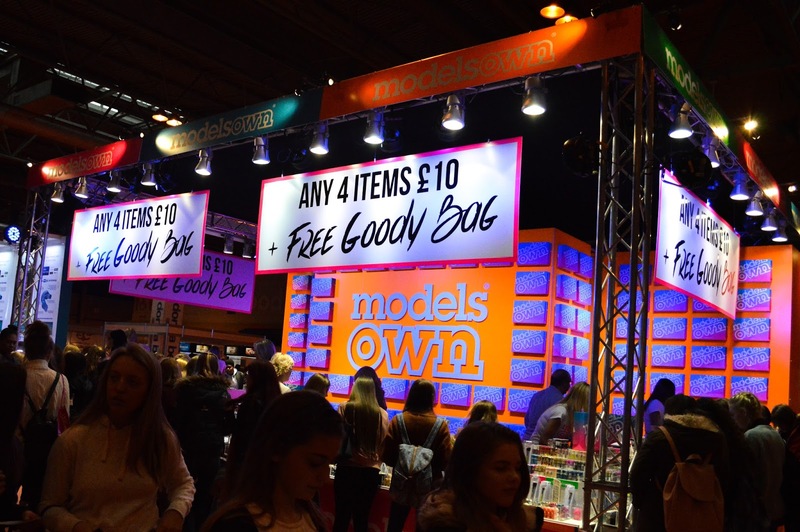 The Clothes Show is a 5 day event that's filled with fashion, beauty and lifestyle exhibitors, a crazy good fashion show and the opportunity to meet celebrity guests. 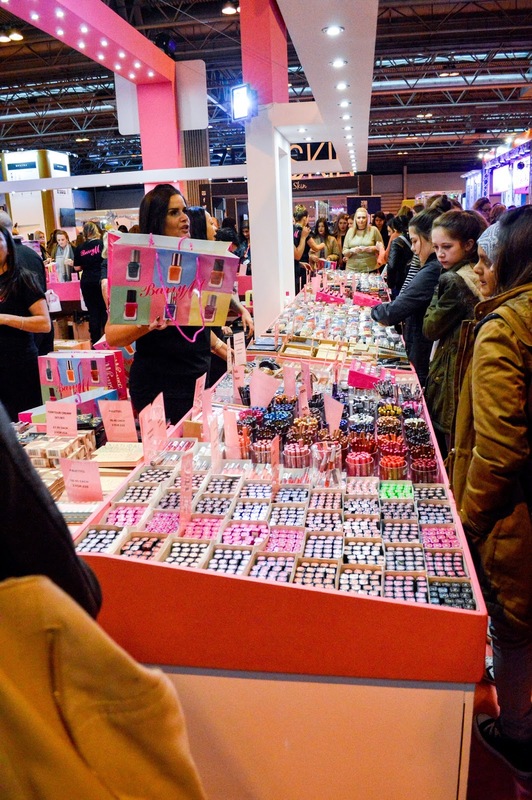 The exhibitors usually have amazing deals on stock and a lot of the beauty stands have cheap goodie bags filled with products which are worth a lot more than the bag price. I've visited the Clothes Show in the past with University and always enjoyed my day especially the shopping. This year I applied for a press pass to attend the show and I was lucky enough to be accepted; I was so chuffed and couldn't wait for the show. I wanted to attend the show on opening day which was Friday 2nd December; on previous years I had always attended on the last day of the show so I was interested to see if the show was any different on opening day. Upon arrival I went to collect my press pass which had my name and blog on; I felt very professional, there was a bloggers bar which had light refreshments in, computer access and charging points. 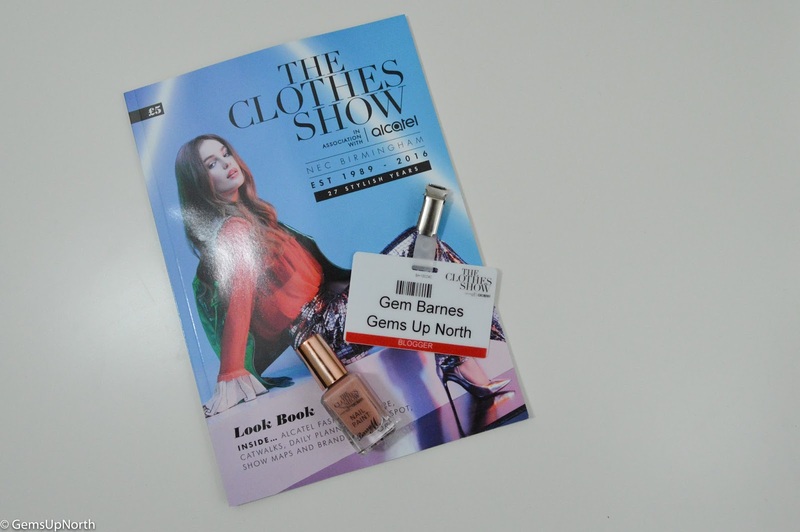 I also picked up a show guide whilst in the bloggers area which gave me a run down of the events for the day, all the information needed and there was a free BarryM exclusive Clothes Show nail polish inside too. Freya the lingerie and swimwear brand was exhibiting in the bloggers bar and was offering free bra fittings and a goodie bag. Freya is dedicated to giving fashionable lingerie that fits comfortably up to a K-cup, they also have swimwear and sportswear. I've never had a bra fitting before, I usually just chose a bra size that feels comfortable so it was interesting to find out what my actual bra size was and to hear that I wasn't far off my correct size. The Freya assistant gave me some information on where my bra should fit and how it should fit. I was able to see some of the new season collection of lingerie and swimwear, I particularly liked some of the floral prints available in the lingerie sets! Thank you to the Freya girls for my informative bra fitting and goodie bag which had a Freya Cami inside in my favourite colour. 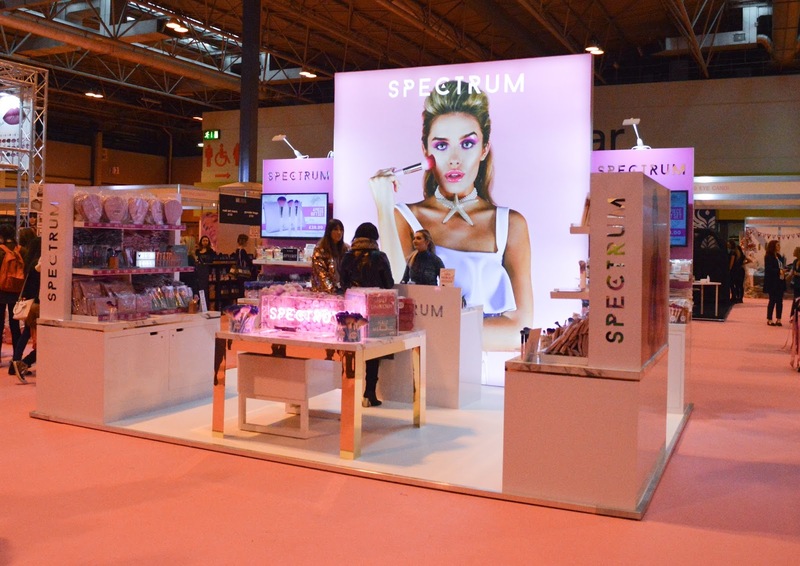 I headed straight in to the beauty section to see the Spectrum Collections stand, I was so excited to see the stand and all the stock they had brought with them. I could see the bright pink stand which was lit up fantastically from the entrance, I doubt anyone could miss this stand. Spectrum had brought all there stock except the bombshell bag, there was so much to see and the deals they had on was absolutely amazing! The Spectrum girls spotted my pass and came over to say hello, they could see how excited I was and was telling me a bit of the products because I was looking at the marble brush rolls. It was the new rainbow brush I was very eager to see as they had announced they would have them at the show and the girls gifted me one, which I am so thankful for. This brush is available next year if you wasn't able to pick one up at the show and trust me when I say you need this brush in your collection! A few days before the show I was contacted by Amber from Betty Collective she told me that they had an interactive bus at the show and asked if I would go check it out. The big yellow bus was hard to miss and there was lots going on including hair braiding, the interactive bus, a selfie mirror and subscription box (Betty Box) sign ups. The website offers advise on growing up and hitting puberty, it helps young girls deal with the changes our bodies go through, your free to ask any questions and get the answers you need. I personally think this is an amazing idea, back when I was a teenager there was nothing like this but I wish there was. The Betty bus is doing a school tour next year which will create a fun, less taboo, comfortable and informative learning experience for students. Me and my friend had some time before the fashion show which was at 12.30pm so we was able to shop, shop and shop! We stayed in the beauty department having a toot at what stands had goodie bags available and the best deals on first. 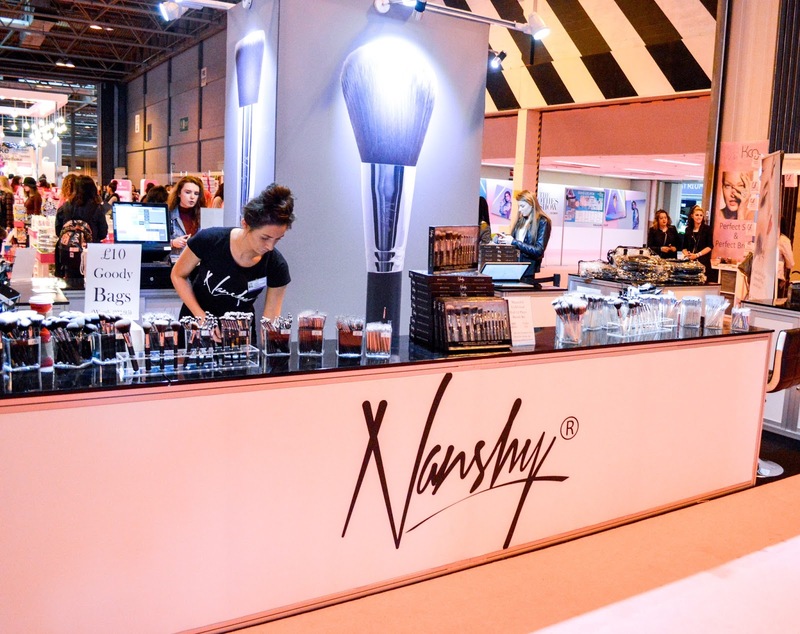 Nanshy had a £10.00 goodie bag which included 2 contour brushes and the 4 in 1 blending sponge, this was a pretty good deal since some of the contour brushes was priced at £9.00 each. 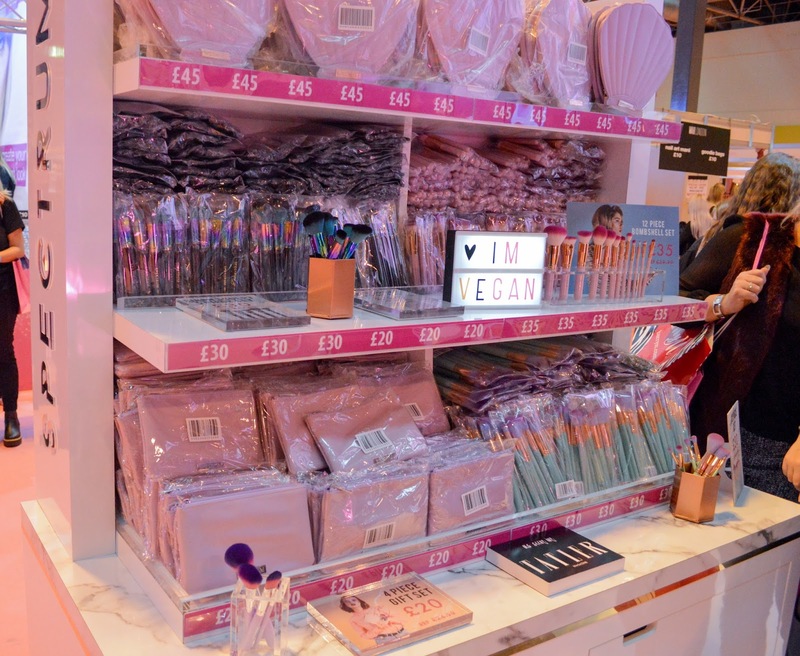 Barry M was showcasing and of course had the usual £10.00 goodie bag filled with colourful makeup treats; this is the first year I haven't actually brought the bag. Models Own also had some great deals on and with every purchase you received a goodie bag, every item was included in the 4 for £10.00 deal so I picked up 4 new nail polishes and the goodie bag came with so many makeup treats. Lee Stafford who is one of my favourite hair product brands had a huge stand, they was doing complimentary hair styling using Lee Stafford tools and had deals on products. The exciting bit however was the goodie bag priced at £20.00 but filled with 10 full sized products worth a whooping £77.00!!! Goodie bags was available every hour and there was a countdown clock on the back of the stand; this stopped the stand getting over crowded and I assume giving the staff time to fill the bags. 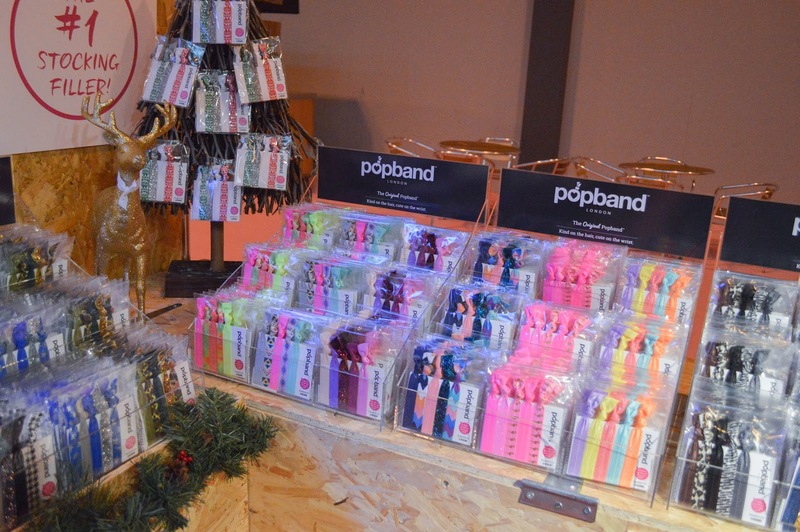 I went to check out the Popband stand to see what they had on offer, the stand was filled with packs of bands in every colour you can think of; they also had Christmas themed bands available. These are only a selection of hair and beauty stands at the show, there were so many more including smaller less known brands and some big named brands too. Heading to the fashion and lifestyle part of the exhibitors I spotted Flamingo Candles who I was excited to see but disappointed they only had the wax melt side of the business at the show. All the wax scents was amazing though and there was so many to choose from, you could get 8 melts and a burner for £10.00 at the show which was fantastic!!! There was lots of stands with similar clothing available which is always the case at the Clothes Show, it's all clothing that is on trend at the end of the day. 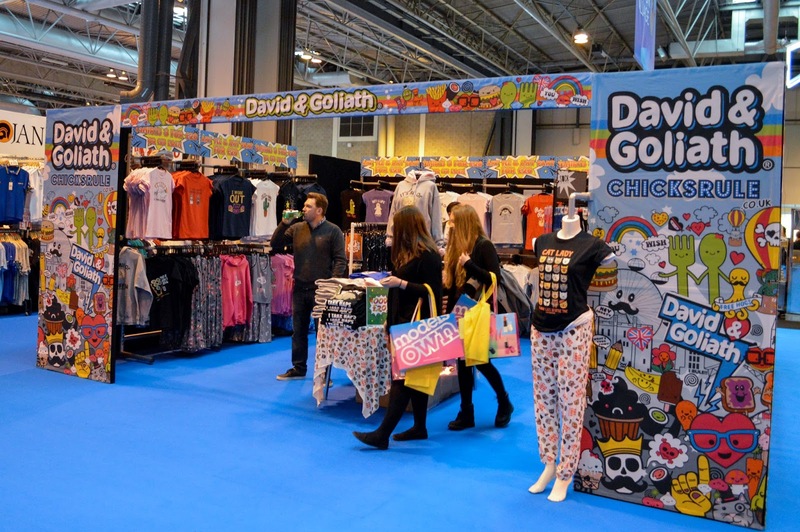 Punkyfish was there again this year but I kind of think I have outgrown the brand, David & Goliath had lots of PJ sets and hoodies with the cute characters and slogans on. 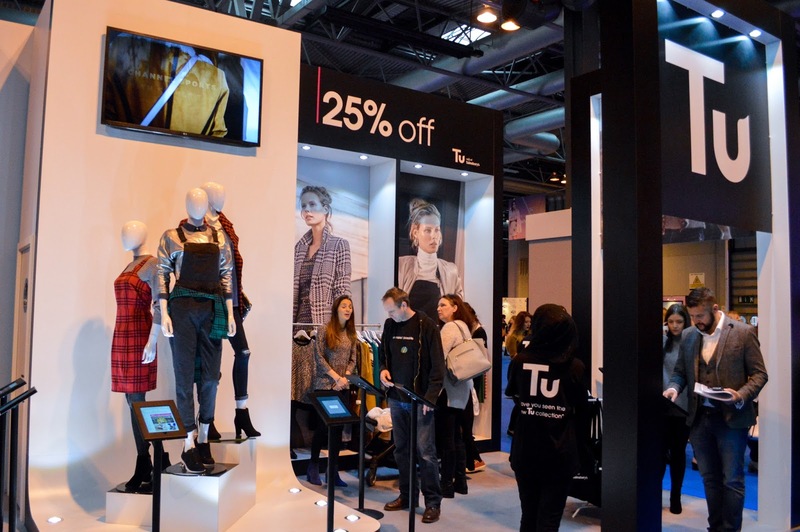 I particularly liked the Tu Clothing (Sainbury's) stand although I couldn't actually buy anything on the stand and had to order it, they had set the stand up like a show room with 3 mannequins dressed stylishly in the middle and hung clothing around the sides; this felt like more of a store environment than a stand. 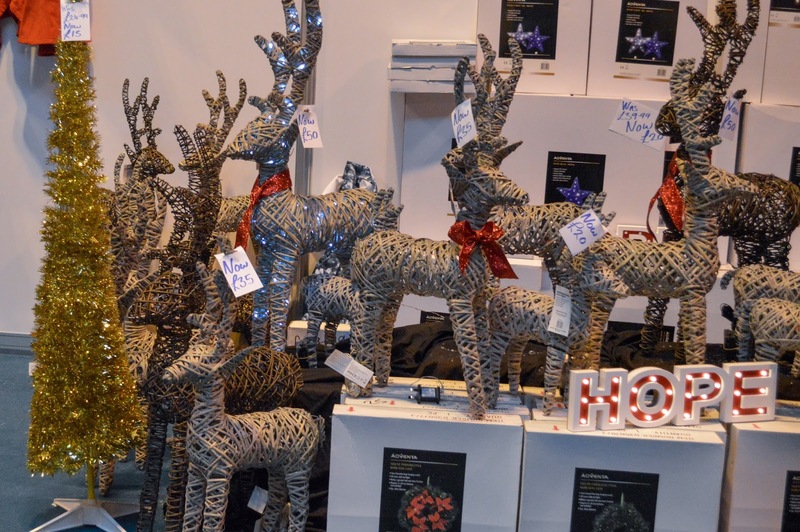 Some stands had Christmas items, I spotted some charming little reindeer decorations; there was another stand selling personalised items which I thought would be great for those people you never know what to buy at Christmas. Again this is only a selection of what was available at the show, there were so many stands to be excited about, there was a designer section and boutique area too along with budget brands throughout the show meaning there was something for everyone. 12.30pm soon came around and it was time for the fashion show, since I had a press pass I got a really good seat on one of the front rows facing the front of the stage. The show started with the host introducing the show, dancers, models, musicians and stylists. The first section of the show was from Mark Heyes, he had put together pieces from high street and online stores including BooHoo and Topshop, all the pieces showcased are in stores now which was good to hear. The next section was the exciting part, dancers filled the stage with musicians in the form of a drummer, saxophone player and a couple of singers along with models all choreographed perfectly! The show lasted 45minutes but didn't feel too long or too short, the show was completely full filled with each section taking a new theme. Some of the clothing featured wasn't exactly something you'd wear to the corner shop of even out for the evening but they was gorgeous to look at and admire; as a fashion graduate I was in my element! The show ended with a whole section dedicated to the shows new home, Liverpool; yes this is the Clothes Show's last event in Birmingham, after 27 years at the NEC it's time for something new. I heard people talking about this at the show and it had mixed views, I personally love the idea. It's so much closer to home for me and I think with an event like this, shaking it up and giving it a fresh lease of life can be a really good move. I'm really looking forward to next years show in Liverpool and with new dates in July too! 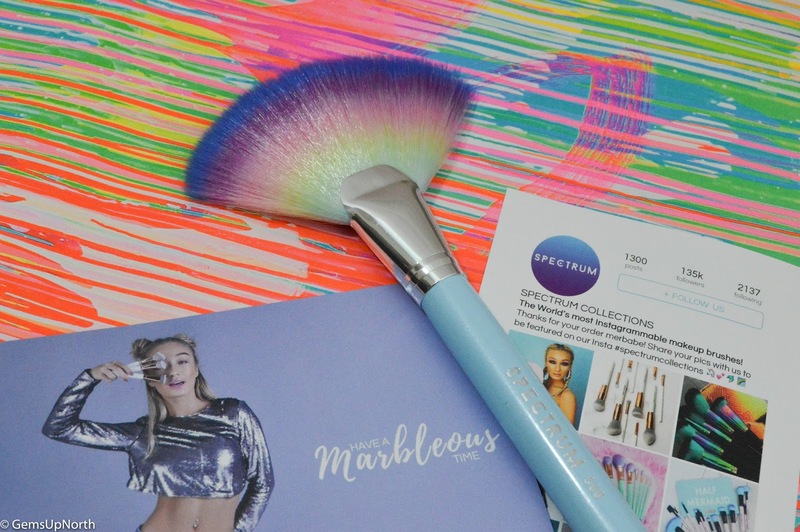 I'm sure you all want to know what I bought at the show so I'll give you a haul here, as you know my first stop was Spectrum and I couldn't not buy the black marbleous brush roll for my new brushes I got a few weeks ago, the show price was just £25.00 whereas on the website these are £39.99 so this was a great saving. 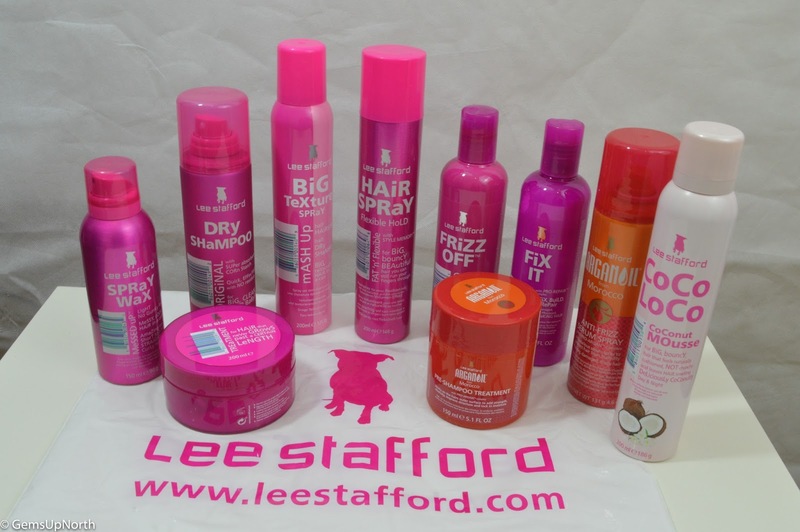 The Lee Stafford goodie bag was too good not to purchase and the 10 products inside the bag are all usable for my hair type and will last me ages. Included in my goodie bag was; Spray Wax, Dry Shampoo, Big Texture Spray, Hair Spray, CoCo LoCo Mousse, Argan oil Anti-Frizz Serum Spray, Argan oil Pre-Shampoo Treatment, Frizz Off Shampoo, Fix It Conditioner and Hair Growth Treatment. I mentioned earlier that I picked up the Models Own goodie bag with the 4 nail polishes I bought, inside the bag was; 2 nail art pens, a lip gloss, eyeliner, shadow stick, 2 mini nail polishes, a makeup bag and an eyeshadow. I was pretty impressed with the extra treats and I love my new shades of polish. 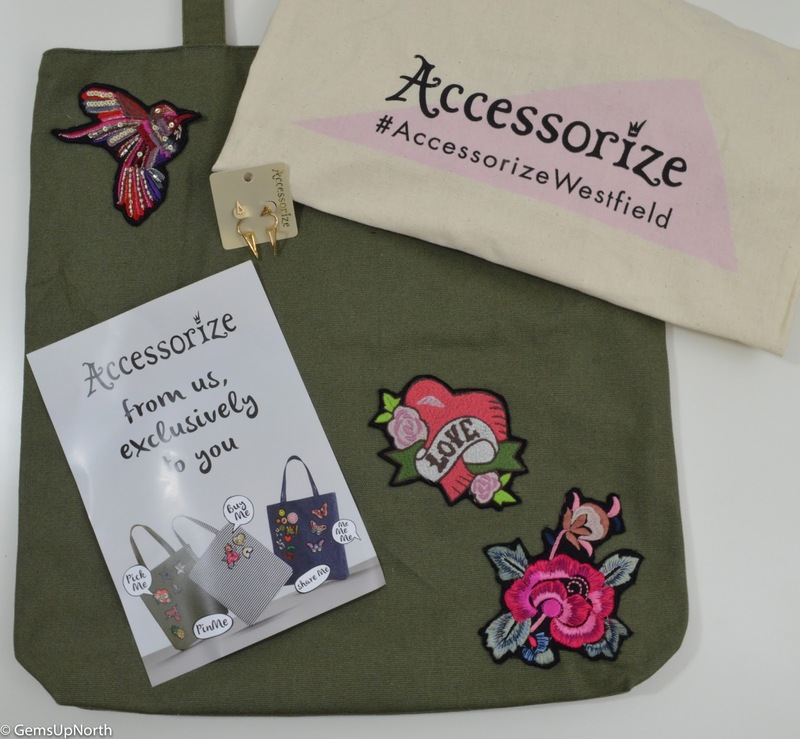 Accessorize was at the show selling bags, scarfs, hats etc, they also had lots of patches, pins and badges. As a show special you could buy a £10.00 tote bag or zip bag and have 3 items put on the bag for free, I chose a karki coloured tote and picked 3 patches to be heat pressed onto the bag. There were lots of patches to choose from but I went with my favourite 2 and a second choice as it matched the other two better; a tattoo heart design, a floral patch and a sequinned swallow. I was given a shopper tote bag when I paid too which had some cute gold earrings in, a can of diet coke, a packet of Propercorn and some vouchers. By the end of the day me and my friend was tried out, it can be long day especially carrying around all the shopping and with so much going on but it's a really good day out. I had a great experience as this was my first event with a press pass, it was nice to have a front row seat in the fashion theatre and have the blogger bar to pop in and out off for refreshments, computer use and to see the Freya team. 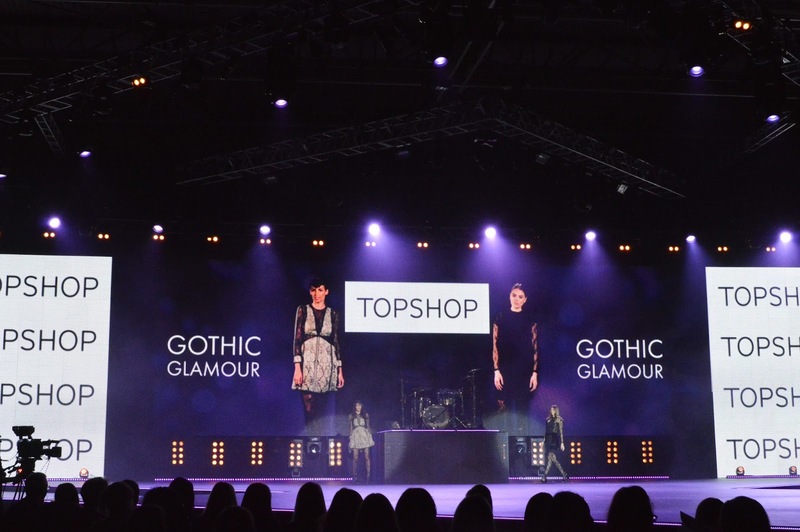 Thank you to the Clothes Show for an excellent day and I look forward to the new Liverpool event in July! 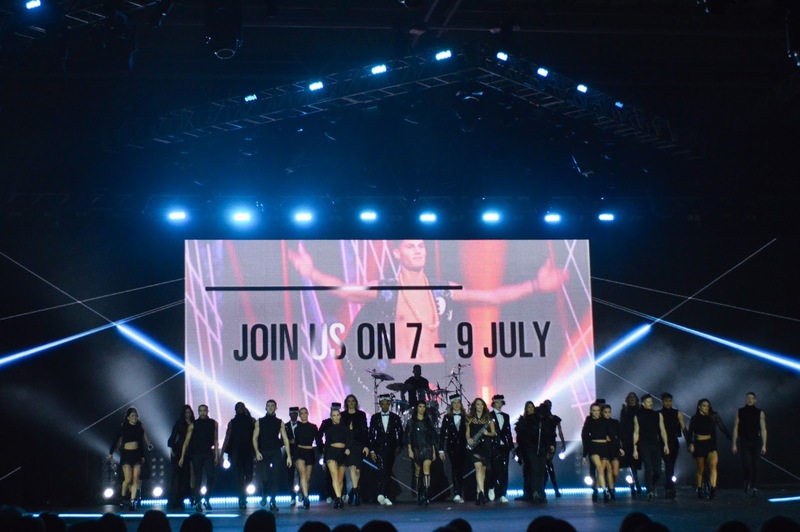 If you would like to buy tickets to the British Style Collective show on July 7th, 8th or 9th you can buy them here and for a amazing advance price of just £20.00! I will see you there guys!